This week has been brutally cold. I saw the windchill reach -50 degrees, and temperatures bottom out at -25 degrees. My nostrils froze. Three pairs of socks proved insufficient, even in my cozy home office. The cats wondered if the world was ending. But I’ve been busy and reading and absorbing. Here are a few things on my mind. Romantic ballads… about a bathroom. Welcome to the strange, strange world of “industrial musicals.” During the 50s and 60s, marketers were tasked with developing entire musicals to educate and entertain (?) sales forces about their product lines. A recent Fresh Air podcast dug into this phenomenon, replete with song clips that had tears streaming down my face. Occasionally in my marketing career I’ve written a stanza or haiku about a product — I can’t imagine doing an entire musical. I’ve run into this 1964 video before, and it holds up. LBJ calls the owner of Haggar clothing and very colorfully explains exactly how he needs his next pairs of pants adjusted – a couple inches here, an inch there, and so on. But as Ann Handley points out (and this is where I recently saw the video), LBJ’s shopping spree offers a great lesson for marketers: LISTEN TO YOUR CUSTOMERS. Really listen. LBJ describes what exactly keeps falling out of his pants – a knife, his money – which paints a much better picture than simply saying “make the pockets bigger.” But if Mr. Haggar had interrupted LBJ, he may not have gotten that detail. Are influencers really so influential? Many moons ago, I worked for IBM. The software I supported had a loyal group of users dubbed “Champions.” They received training perks, extra support, and other special treatment. It was lovely and organic and very successful. The influencers grew their own followings, got to geek about things that interested them, made new professional contacts, and overall really appreciated the program. These days, I cringe at influencer programs where lots of money changes hands for lackluster, artificial support. MarketingProfs recently (ok, ok, I’m behind in my reading) offered tips about budgeting for influencer marketing and combatting fake followers. That’s why it was so refreshing to hear another perspective at a Medill panel last night. One of the panelists explained that while one of her clients has an extensive influencer marketing program, they don’t mess with the authentic. When a celebrity or someone truly influential happens to tweet or Snap or whatever their product, she said there’s often a rush to sign that person on to their program. She halts that, saying, “You will do no such thing!” After all, you can’t buy that authenticity. While my Pollyanna side misses the old days of all organic influencer marketing, the realist appreciates that there’s still room for organic in a increasingly paid world. We each get the same 24 hours in a day, and we each get the choice on how to spend that time. 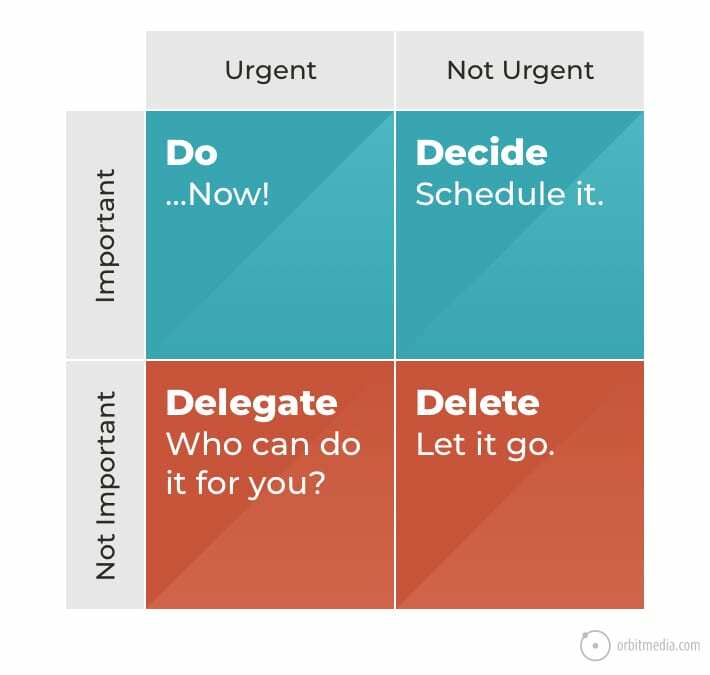 Differentiating the nuances of urgent and important can help bring more sanity to the day. I’m still plodding through Middlemarch, though Bloggess Jenny Lawson’s Let’s Pretend this Never Happened is providing a nice counterbalance on those nights when I finally sit down to read with heavy eyes and a fried brain. Caterwaul is the word that kept coming to mind, so finally I looked it up. Lo and behold, it really DOES have feline origins. Merriam-Webster defines caterwaul as “to make a harsh cry” or “to protest or complain noisily.” It dates to the 14th century “for the act of voicing feline passions,” with the “cater” possibly stemming from Middle Dutch cāter (“tomcat”), or it might just be “cat with an ‘-er’ added.” The “waul” imitates the sound itself.